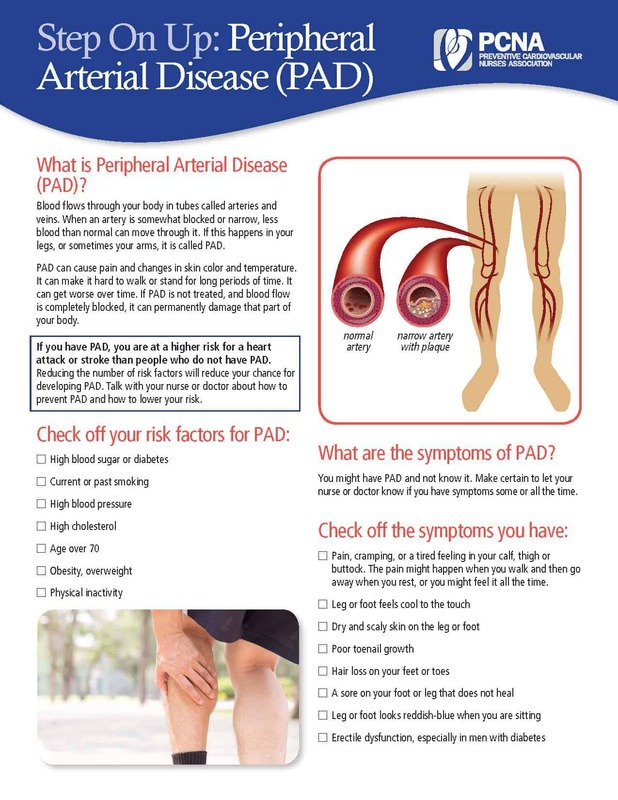 The Preventive Cardiovascular Nurses Association has developed this Peripheral Artery Disease (PAD) handout for nurses and other health care providers to use with patients. Join as a member today to take advantage of member pricing. Please allow 6-8 weeks for delivery of any printed materials. Disclaimer: This and other PCNA educational materials are for information purposes only and are not intended to replace medical advice or diagnose or treat health problems. Health-related decisions should be made in partnership with a healthcare provider. It is the reader's responsibility to seek out the most current, accurate information.